Winter giveaway?!…. We know it may be a little too early in the season for prezzies, but being the caring and sharing type of brand that we are, we’ve decided to treat you to an exclusive winter giveaway anyway! With winter now well and truly in full force, we’re pretty sure many of you could do with some extra help hydrating your curls. 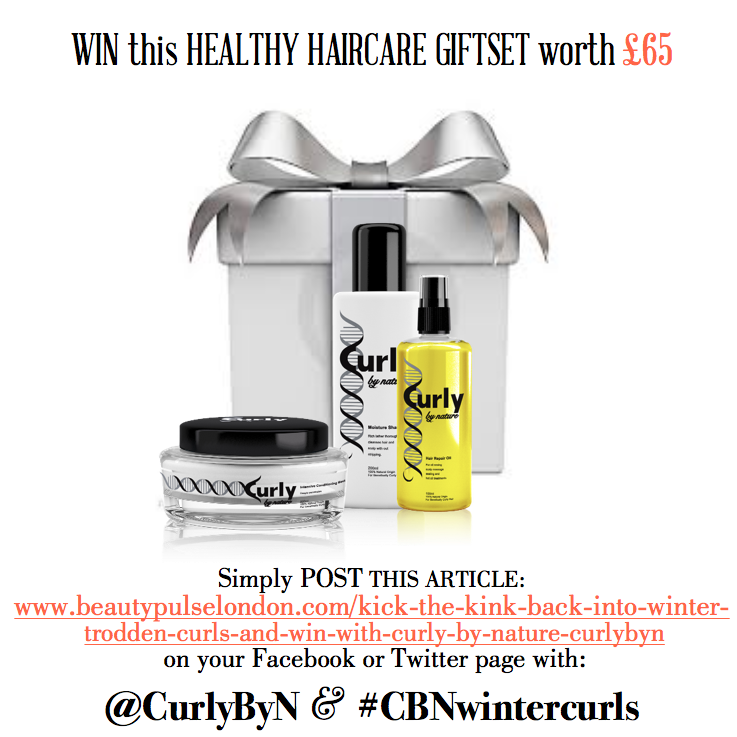 So, Curly By Nature are giving you the chance to win our complete Healthy Hair Care Kit worth £65 winter giveaway! (by copying the link and posting it) on your Facebook or Twitter page and tagging WITH @CurlyByN and #CBNwintercurls, and your name will automatically be entered into a prize draw. You can enter our winter give-away as many times as you like, so why not increase your chances by posting it on all of your social media pages. The competition will close on Sunday 29th November at 11:59pm. The winter competition winner will be contacted and it’ll be announced here on the Curly By Nature website: Winter Giveaway in December.